One of my best friends lives in a small, post industrial mill town in Western Massachusetts. The city is mostly Black and Latin@, with high unemployment and one of the fastest growing HIV rates in the country. My friend owns a large apartment where he shares a room with his boyfriend, and rents out the others primarily to queer men–many of whom are not welcome in their own homes. In the past, when roommates were unable to find work to pay rent, my friend worked up to three different jobs to make ends meet, and keep everyone in the house. He still throws huge parties on the weekends, and sometimes charges a dollar at the door to help pay the bills. His apartment is known as a welcoming space for gay men, and much of the TLBG community across the city spends copious amounts of time there. 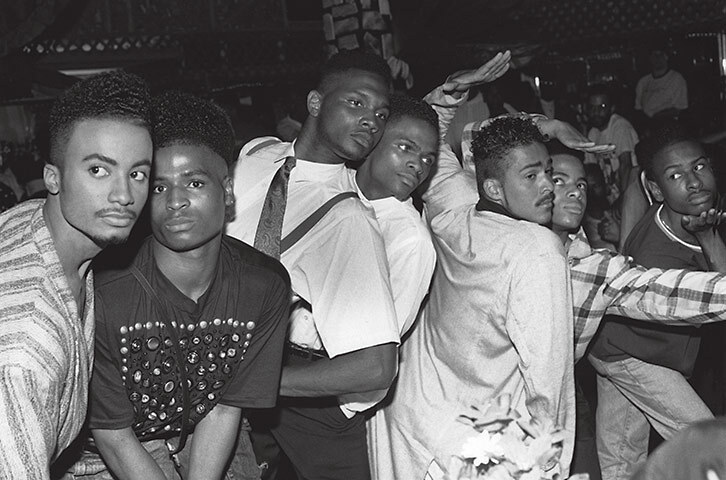 As a result, the house is a hub of queer activity in the midst of a city in which many might deny its existence. I think the work that my friend does in his apartment is radical. Though it is not always sustainable, and certainly comes with a complex network of relationships and interactions, it provides our community with space, with housing, and a source from which we can draw our sense of connectedness and interdependence. The question I have been asking myself lately is, can what my friend does with his home be qualified as community service? How we go about answering this question has everything to do with how community service has historically been defined, and the space it occupies in our current social consciousness. Patricia Hill Collins, professor and Black feminist theorist, speaks insightfully to the idea of ‘community service’ as it stands–often unquestioned and undefined–in many of our modern discourses. The category is inherently raced and classed, she states, as by most definitions, community service is something done out of obligation–an act performed by those with the excess time to do it, and the excess resources to “share” with less fortunate people. This categorization is oppressive to Collins, not only because it constructs community service through a series of patronizing and insincere transactions, but moreover because it makes invisible the ways in which oppressed people are already serving themselves. We don’t apply the term community service to an unemployed mom watching her neighbors’ kids while they are at work, but we do when a wealthy patron volunteers her time at a daycare center in a “bad” area of the city. For this reason, Collins argues, a reclaiming of community service is needed, one which acknowledges the ways in which oppressed people are always struggling to serve themselves within the systems which perennially deny them basic rights and resources. Service should be thought of not as patronizing and brief exchanges of unused time, a donation passed down from the powerful to the powerless, but rather as activism, organizing, and collective support–the things we do daily to sustain ourselves and each other as members of marginalized populations, not out of obligation but necessity. What my friend does with his apartment is not likely to appear on a resume, nor to help him find a new job. Even more significantly, he does none of it for credit, recognition, or out of sense of “giving back.” (Why some of us have resources to “give back” to others in the first place is a topic of conversation all its own.) He does it because he has been navigating his own life as a queer man of color almost completely on his own since he was fourteen years old. He does it because he has friends who need a place to stay, and he would never turn down someone he considers a brother. He does it because a queer space is something he needs just as much as the guys who flock to his apartment. He does it because there is an indescribable energy generated by Brown, queer people voguing in the living room, smoking in the staircase, and laughing in the kitchen. It’s an energy which sustains in the face of struggle, of unemployment, of hustle, and of homophobia. In other words, it is something we all need, all benefit from, and that only we are capable of providing for ourselves. As oppressed people, we need spaces which are our own, which we control, and within which we can determine and enact that which will best support our collective efforts and desires. We do not require the patronage of the privileged, nor should we feel guilty about activism which provides us with resources as much as it does our larger communities. Service, reclaimed and redefined, is most effective and transformative when it comes from the communities that it addresses, and when it is instituted for all, by all, not merely by one faction on behalf of another. Enough giving back; we’re taking back–first the definition of community service, and next the places, resources and knowledge which can sustain our movements. Special thanks to Jenn Leyva at Fat and the Ivy. The notion “you can not do that” by yourself/selves, that a formal organization or financial backing is needed to provide assistance to one another, is one of the biggest lies any society engenders. I have heard a great deal about the “grass roots” “OWS” movement, but think that the largest grass roots movements take place daily, out of sight, in the day-to-day lives of individuals who take whatever action needed to make significant differences in their own lives and that of others. Beautifully put. Thank you so much for your insights. Brent’s comment reminds me of the book I’m reading The Revolution Will Not be Funded. INCITE has some great points of the problems with the non-profit industrial complex, and one of them is the way it creates a divide between “real” funded organizing and the informal but oh-so important work we do ourselves. Word, yes, thank you for tying that into the conversation. Reclaiming community service also has to do with the teaching that the resources we need to advocate for ourselves effectively already exist in our own communities. We don’t need funding, we need organizing which is original and relevant, and that comes from us. This a really good post! You made a really good point about sustaining the community. I think the goal of an organizer is create a space where folks create community with the intent of eradicating the despotic conditions of society within that space. So creating a space for working class queers of color that’s void of patriarchy, racism, and homophobia should always be the goal. The problem with “community service” is that many people don’t have an investment in the community and come into those spaces and replicate societal norms. Word, thank you so much for offering your perspectives as an organizer. I had not thought about the ways in which traditional service replicates oppressive norms expressly because those performing it have no investment in the transformation and eradication of those norms. It’s not just about a lack of awareness or understanding of the targeted communities, but equally about an unlikeliness to do work which will tear down the systems which give one power. Amazing insight, thank you for your thoughts!